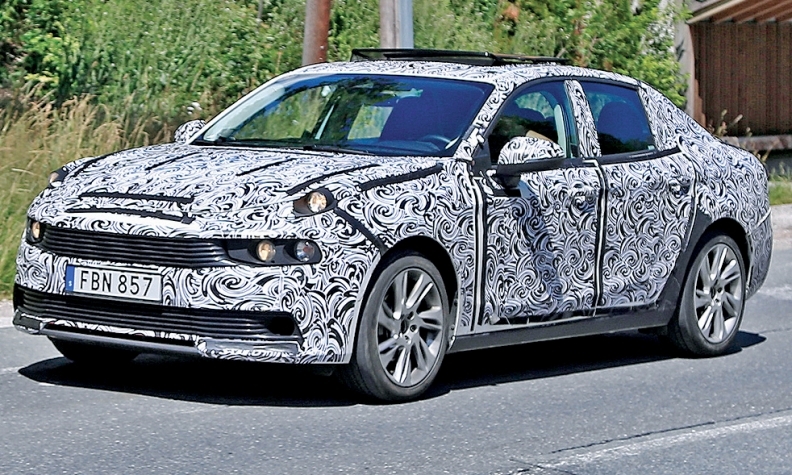 Spy photographers snapped a Lynk & CO 03 sedan being tested in Germany last week. The car, based on sibling brand Volvo's CMA platform, is expected to debut in 2018 in China and be sold in Europe and the U.S. later. The compact sedan seen testing closely resembles the concept shown in April at the Shanghai auto show. One slight difference: The upper portion of the car's stacked headlights now appears round. The rest of the vehicle appears conventional. Lynk & CO and Volvo are owned by China's Zhejiang Geely Holding Group.